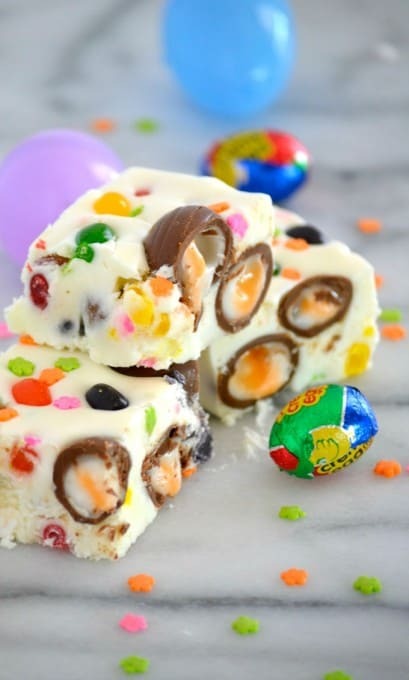 Easter Fudge – white chocolate fudge with mini Cadbury Creme Eggs, Starburst Jelly Beans and small decorative flower candies. 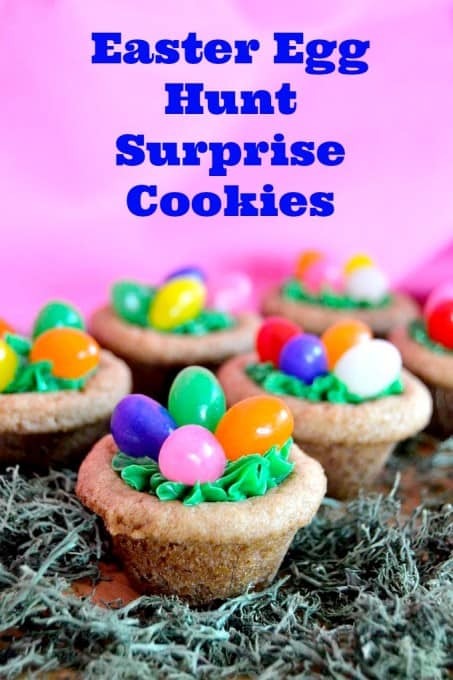 It’s the perfect sweet treat to serve your little bunnies at your Sunday gathering! I think I prefer Easter in April only because I feel as if time if flying and when it happens in March my mental calendar is all messed up. See, two of our kids were born in April and we’ve celebrated them along with the holiday on the same occasion (actually, the birthday party with their friends was always separate) a few times in years past. Anyway, it’s this weekend and I hope it’s a great one for everyone with time well spent with family and friends. We’re just going to keep things low key around here and then my men will be doing the rim to rim to rim hike in the Grand Canyon on Tuesday and Wednesday, so it’s probably best that we’re taking it easy. Yes, father and son will be hiking from the south rim of the canyon to the north rim and back to the south without camping. 48 miles total and over 20,000 ft. in elevation without camping overnight. They’re pretty excited about it and I know as a mother and wife that I probably won’t sleep much while they’re gone, but Kurt (my husband) has done it before with a friend, so he knows what to expect, what to bring, etc. They’ve both been training for it as well, so it’s not like it’s something they’re going to tackle out of the blue. Me, on the other hand would rather just sit in the lodge and wait for them. 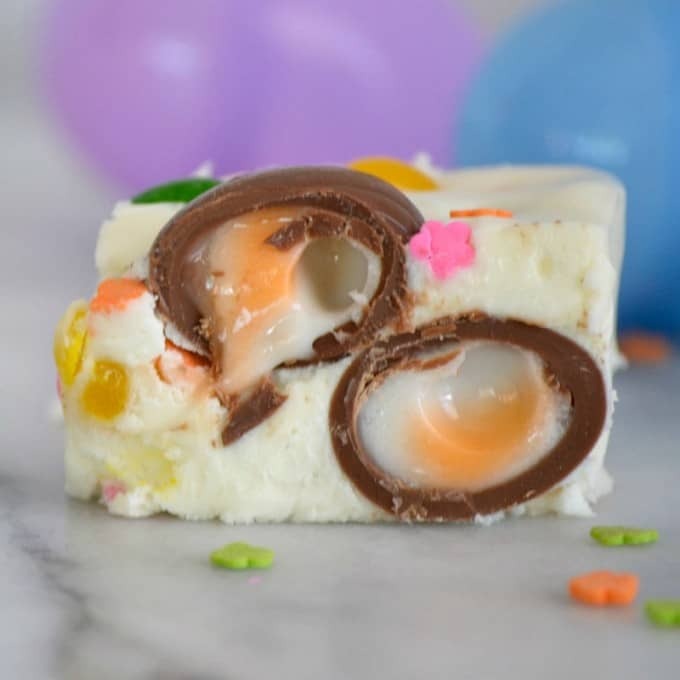 Easter Fudge is white chocolate with mini Cadbury Creme Eggs, and Starburst Jelly Beans - the perfect sweet treat to serve your little bunnies for Easter! 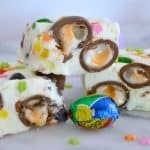 Unwrap the Creme Eggs and place into a small bowl to sit in the freezer while preparing the fudge (at least 15 minutes to a half hour. Prepare a 8 X 8-inch pan by lining it with parchment. Use a parchment sheet a couple inches larger than the bottom of the pan. Place the pan on top and trace the outline of the bottom onto the paper. DO NOT cut the outline out. Instead, cut from the sides of the parchment just to the edge of each corner. Cut any excess paper off of the top. You will then be able to put the paper into the pan, and have the sides fold up allowing for very easy removal of the fudge once it's set. Place the white chocolate chips and jar of marshmallow creme into a mixing bowl. In a medium saucepan over medium heat, place the sugar, butter, whipping cream and salt and bring to a gentle boil. Cook for 5 minutes. Pour contents into the mixing bowl containing the chips and creme, and blend until smooth. I did this easily with a rubber whisk or you can also use your mixer. With the rubber spatula, fold in 1 cup of the jelly beans and the Dallies flowers. Blend until mixed thoroughly. Gently fold in 20 of the Creme Eggs. 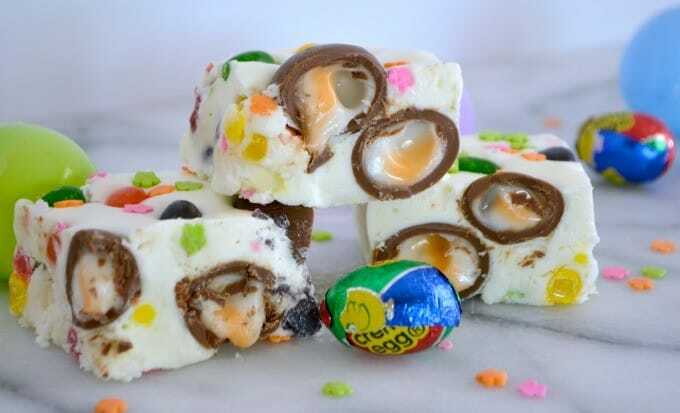 Try not to over-stir as the eggs may begin to melt if the fudge is still warm. Place into prepared pan and smooth the top. 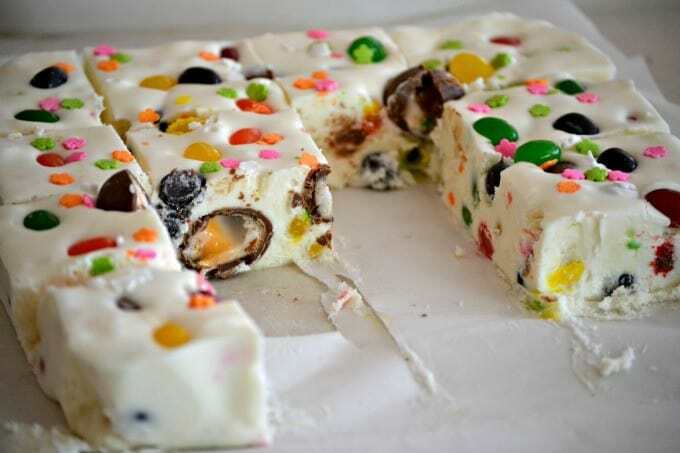 Evenly distribute the remaining 1/3 cup of jelly beans on the top along with the Dallies and gently press into the fudge. Place pan into the refrigerator and allow to set for 3 - 5 hours. For smooth, even cuts use a warm, dry knife.